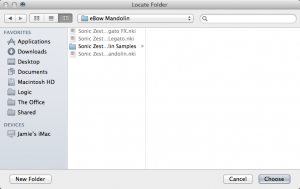 So you’ve just purchased your latest Sonic Zest instrument, but how do you install it? Below is a guide to help get you started. 1. 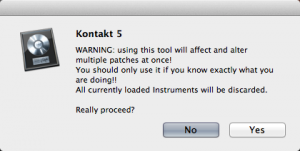 How do I install my Kontakt instrument? 2. How can I add effects (delay & reverb etc) to my patches? 3. What should I do if Kontakt says samples are missing? 2. 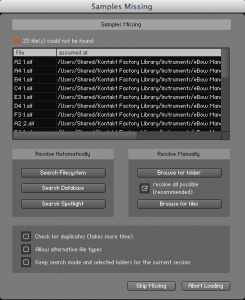 Copy and paste the extracted folder into the “Instruments” sub-folder under the main “Kontakt Factory Library” folder – see below. 3. 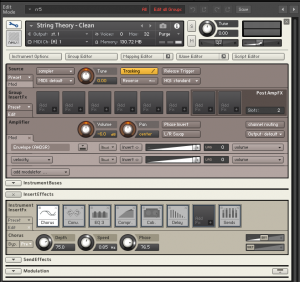 Your downloads will now appear in the Kontakt Factory Library, like below. Some of our instruments have very simple interfaces. This doesn’t mean that effects can’t be used powerfully. Here are your two options. 1. 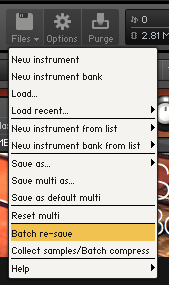 Inside Kontakt: Click the spanner icon at the top left of the Kontakt patch. Effects plugins can then be added inside the “Insert Effects” module. 2. Outside Kontakt: Alternatively you can add effects outside of Kontakt and inside your sequencer of choice. If you use Logic Pro X you can click “Audio FX” and then select from a wide selection of effects plugins. Occasionally when moving sample libraries around in Kontakt you are met with the below message. 1. Click the “Browse for folder” in the “Resolve Manually” box. 2. You will be met with the below window – press “Choose”. 3. Problem solved. To prevent it happening again you will need to click “Batch re-save”, which is found in the “Files” drop-down menu – as highlighted below. 4. You will then be met with this warning. Click “Yes” and you’re good to go. Feel free to contact us if you have any further issues.